I really tried to stay out of some of the debacle around a certain magazine article. But I have always had strong opinions on the ‘shoulds and shouldn’ts around this play. And I also have strong opinions on the labels our so-called community forces on us. 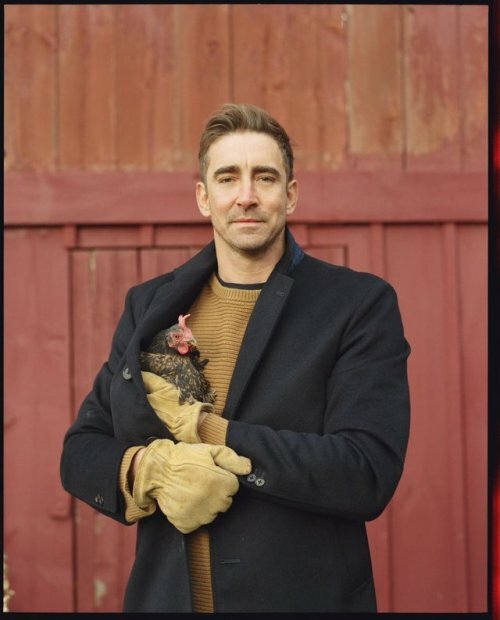 So in a blog of two halves, the professional and personal here is my write-back to that W magazine interview with Lee Pace. The first half relates to this play. I’ve been around the block with it enough times to know many people have strong opinions on who can and can’t be in/work on/like this play. Firstly, the only person with any say in two of those categories is Tony Kushner. The latter nobody has say on. As a woman, born in 1984, in the UK who through virtue of those things does not identify as a gay American Man, I’ve had my share of criticism for working on the play. The idea that somehow my ‘understanding’ or ‘love’ of it was different. That is was somehow driven of some teenage ‘omgGaysAreSOcute’ thing (I’m 34, and spent 4 years solid working on it, BELIEVE me if that was the case the novelty would have worn off long before). I utterly grant that my experience and understanding of the play is different and while doing the PhD that was precisely the point. Those who had written before on the play were largely white, middle class American gay men who were there at the time. That is a valuable insight I would not be without. I want those voices, we all need those records. But I bring something different. No less valuable. No less (hopefully) contribution to the conversation. I have been at conferences, had comments online and been generally disregarded as a ‘silly little girl’. Now this is not limited to my choice of research, granted. But there was and is an undertone of ‘You aren’t a gay man, therefore your authority is less’. No. My experience is different. And that I freely acknowledge. Just as I acknowledge I didn’t experience the AIDS crisis first hand. But analysis of something, much like bringing it to life as art is not limited by experience. Similarly, I heard comments about Marianne Elliott’s directing the piece. Few women have directed it over the years, and none of the highest profile productions have been directed by women. Again, endemic of a larger problem, for which I don’t have space. But, the whispered undertones that a woman couldn’t understand a ‘Gay play’ in the same way are ludicrous. The play is about people. The play is about humanity. As much as it’s a- perhaps THE canonical ‘Gay play’ what it boils down to is humanity. And lived experience of that is universal, not matter who you choose to take to bed. Also, frankly I dare you to go and tell Marianne Elliott what she can or can’t do. (but only if you let me watch). Which brings me to the actors. I believe in gay people being able to tell their stories, should they choose to. But I also do not believe in casting, or creativity based on sexuality. Kushner writes as heart-breaking and believable a story in his heterosexual characters as he does his gay ones. Do we tell him he must eliminate the heterosexual story-line as he hasn’t lived it? Why then should we limit casting choices by sexuality? Back in London Andrew Garfield attracted controversy with some out-of-context comments on sexuality. And before the show was even announced for Broadway there were mutterings from the depths of American social media about his ‘unsuitability’ for an ‘iconic’ gay role due to…being straight. Before anyone had seen his performance. Now in Garfield’s case I’m pretty sure he’s never actually shot webs from his hands (or whatever Spidey does) but he’s universally acknowledged to be pretty good at that…so maybe we give him the benefit of the doubt. There were actors in Angels I didn’t know of before seeing the show. On googling them to find out more about them top of my list was ‘what theatre have you done’ not ‘who are you rumoured to have slept with’ to gauge what I thought of their suitability for the role. And similarly, I had no idea who Lee Pace was when he was announced (Sorry Mr Pace, I can be exceptionally dumb) but not for a moment did it cross my mind to wonder what the extent of his first-hand experience being gay was. Why? because it’s unnecessary and intrusive. On being asked about this Pace said (apparently controversially) ‘I don’t know why anyone would care. I’m an actor and I play roles.’ What Pace chooses to share or not share about his personal life is both his own business and a separate issue. His private life and his choices there should have zero baring on the perceived ability to play a role. He’s been accused of ‘Homophobia’ by some for this statement, that in dismissing the question’s relevance to his professional ability he’s somehow belittling the gay community. In fact, I’d argue that moving past such questions- the regimented boxing in of ‘are you gay is that why you want to play this role’ is actually a progressive attitude. I’m closing the professional segment of this by saying; in other jobs I would never be assessed on my suitability to do my work in relation to my sexuality. My own ability to work on this play does not relate to my gender, age or sexuality and yet I’ve had it brought up repeatedly. Likewise, the sexuality of the actors who perform in this play has zero bearing on their ability to portray the parts. My second half of this blog is the personal. What Lee Pace said in the article was “I’ve dated men I’ve dated women’ In no way did Pace dodge the question. And even if he did, frankly that’s his business. ‘Coming Out’ is a term I wish we could do away with, but it’s a difficult and often long process for many people. Nobody has any right to dictate or accuse a person for doing it rightly or wrongly. The media loves to commodify and yes even fetishize “Coming Out” and anyone who doesn’t fit into a box is somehow ‘failing’ their community. The words ‘I’ve dated men. I’ve dated women.’ couldn’t be clearer you’re not entitled to any more than that- you in fact aren’t even ‘entitled’ to that. And on a personal level, I will fight to the death anyone who falls under the wide net of Bi/Pan sexual in any shape or form. Lee Pace, having said he has dated both men and women, falls under that net (however he chooses to self-describe, which again is his call). However, we do or don’t label ourselves, we all belong in a terrible no man’s land (pardon the gender binary) of not being wanted or understood by the heteronormative world or the LGBTQA+ world. Saying you like/have dated Men and Women is not ‘dodging’ a question on sexuality as I’ve seen thrown about today. It’s being honest about your life, and your sexuality. It is not a ‘betrayal’ or ‘homophobic’ it is not ‘regressing’ to a former time of ‘code of a darker time’ (as one well known gay publication has said) it is simply the honest truth for millions of Bisexual people. Why, in 2018 is it either so hard, or considered so sinister that a person can be attracted to any gender? And choose to live their life in relationships as such? Why also is it so vital to everyone that we label ourselves so neatly? Why are we insulting or betraying people by simply describing our lives and experience? If I describe my romantic life, or my sexuality as ‘both men and women’ as Pace has done (and I do) am I not rejecting gay identities, or labels. I’m simply saying they aren’t my label. And so, Mr Pace I don’t know you. But I want to say there are lots of us out there who have experienced that question. Or those questions. Because it never stops at one. It goes on and on until you give the ‘right’ or ‘wrong’ answer that can be put into a box or quoted. Or used against you. Not gay enough. Too gay. Hiding something. All the above. And so, I say, your answer was perfectly valid. And you are perfectly valid. To take on the role of Joe Pitt, and as a person. And I also want to say thank you. Because it’s damn rare I get to hear someone describing themselves as I do myself in terms of romance and relationships. And for all the bleating about representation, all those shouting about it seem to have once again forgotten us, the bisexuals. To have someone in the public eye stand up and say those words so clearly is wonderful. But I wish you hadn’t been pressured to say them. P.S I really like your Dog and your Rooster.